From September 12 and October 2 2018, a total of 23 lions have died in the Gir Wildlife Sanctuary and National Park due to an outbreak of Canine Distemper, carried by domestic dogs, but known to have previously caused a mass wipeout of lions in East Africa’s Serengeti-Masai Mara ecosystem. Whilst issues with a small founder population are real, in the case of Asiatic lions which dwindled to about 20 animals in the 1930s, the issue is unavoidable. 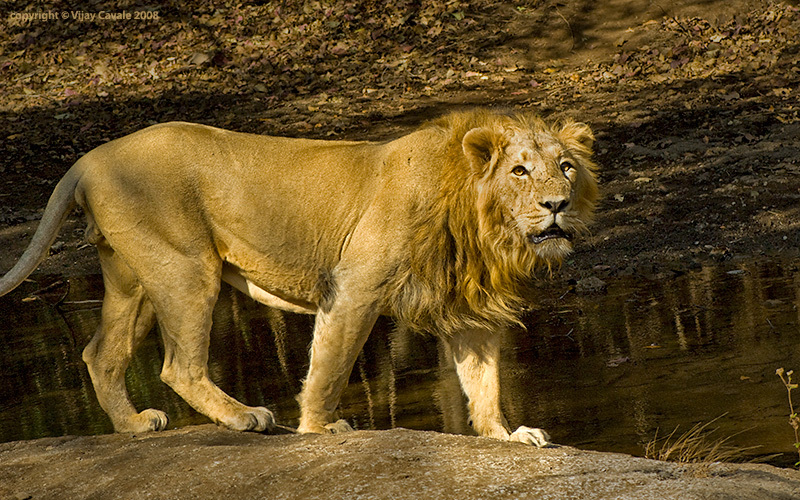 Genetic variation is very low among Asiatic lions with animals to some degree related to any other since they all descended, and this lack of genetic variation makes them vulnerable to the effects of disease. Chellum has long advocate that these lions should be housed in different geographical areas so that they can develop new adaptation to their geography which can then reflect in their genetic structure. Separated sub-populations also act as a potential buffer to the spread of disease. Despite significant planning and identification of potential areas outside Gujarat, no progress has been achieved. In June, the government announced that 109 sq km of area in Amreli and Bhavnagar districts of Gujarat would be reserved as a new sanctuary for lions. State politics has dogged plans for relocation of a small sub-population of these animals. Perhaps now is a serious prompt for a rethink on this strategy. India’s lions are the last large wild group of lions of the newly designated subspecies (recommend to the IUCN in 2016), Panthera leo leo, the northern group which ranged from West Africa and northern Africa across the Middle East into South Asia. No one seriously challenges the cultural and biological importance of lions in Indian ecosystems, so some effort is needed to enable their sustainable conservation as a nationally and regionally important species. Chellam, R., Joshua, J., Williams, C.A. & Johnsingh, A.J.T. (1995) Survey of Potential Sites for Reintroduction of Asiatic Lions. Unpublished Report, Wildlife Institute of India, Dehra Dun, India. Johnsingh, A.J.T. , Goyal, S.P. and Qureshi, Q. (2007) Preparations for the reintroduction of Asiatic lion Panthera leo persica into Kuno Wildlife Sanctuary, Madhya Pradesh, India. Oryx , 41(1), 93–96. This entry was posted in Conservation, P. leo leo on October 30, 2018 by Simon Black.